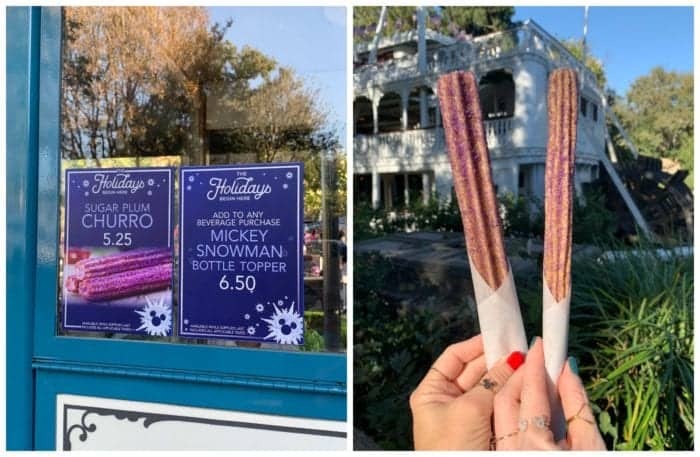 Talking about the new Disneyland Churros for the Holidays 2018! So many delicious new churros to try, take notes! 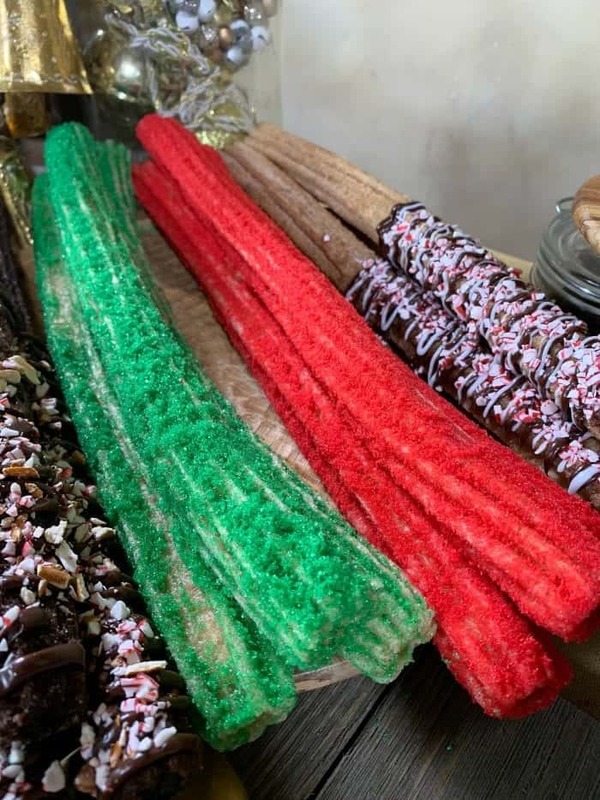 The Holiday churros are amazing this year. 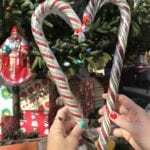 The new Chocolate Churro with Pretzels and Peppermint (candy cane bits) was first on my list. It was just as good as I thought it would be. 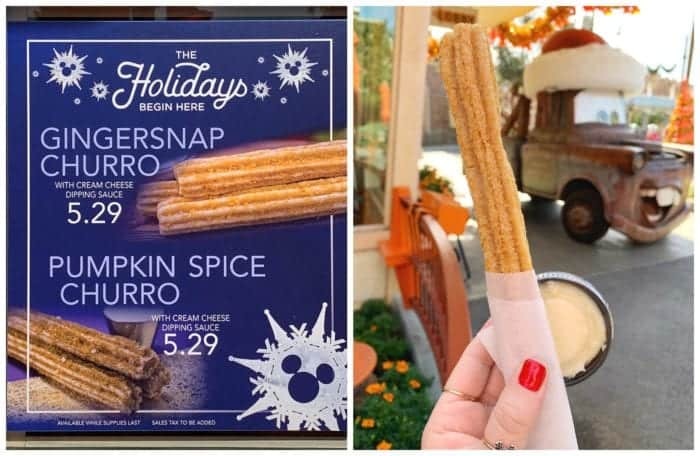 It tied for first out of all of the new churros. The actual churro was a soft chocolate flavor, which I have never had at Disneyland before. It was FANTASTIC. 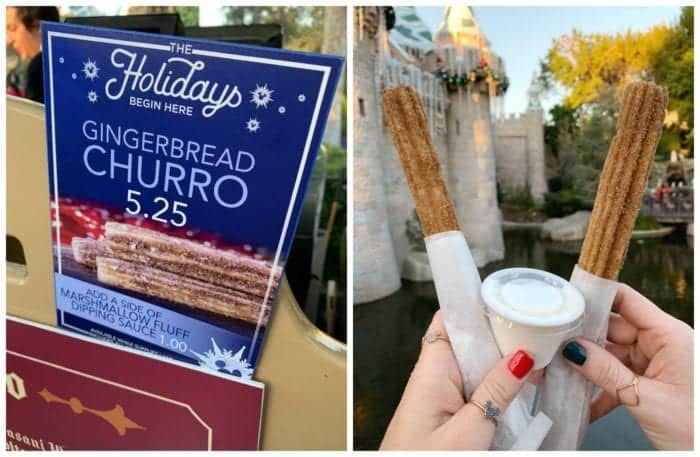 I’d say this was the messiest churro out of all of the new ones, so grab a couple of extra napkins. It’s so soft and the perfect cocoa flavor. 100% don’t miss this one. Find this at the Frontierland Churro Cart near The Golden Horseshoe quick service restaurant. 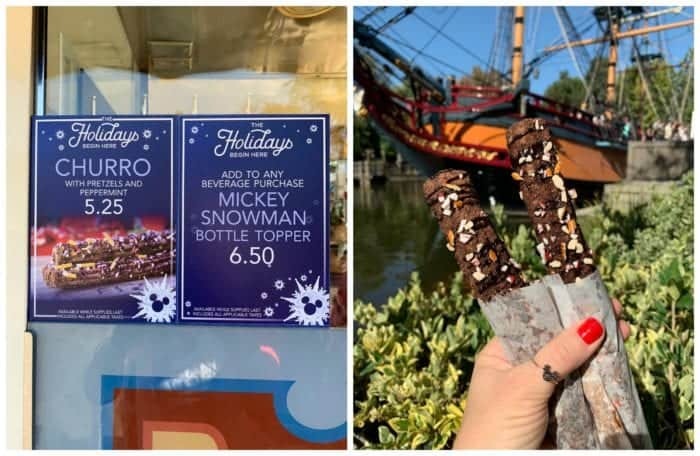 Don’t miss my post about the Best Eats at Disneyland Resort Holidays 2018 too! 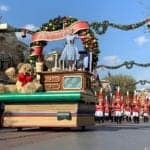 The Churro Cart in Tomorrowland kept the Sour Apple Churro with Caramel Dipping Sauce that made it’s debut during Halloween Time. It was my very favorite of the Halloween Churros. 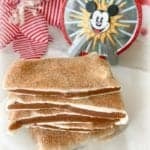 It’s sweet and tart, even more so than the Sugarplum Churro. 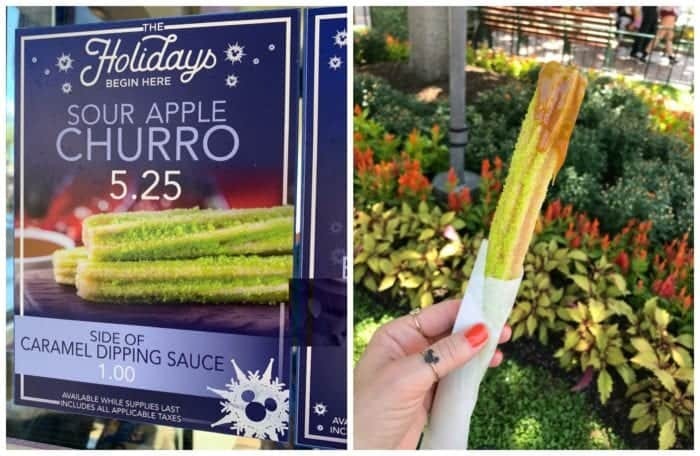 I didn’t get the Sour Apple Churro again since I had so many churros to sample, but it’s still a delicious option, especially if you missed it over Halloween. Try it and don’t miss the caramel sauce! 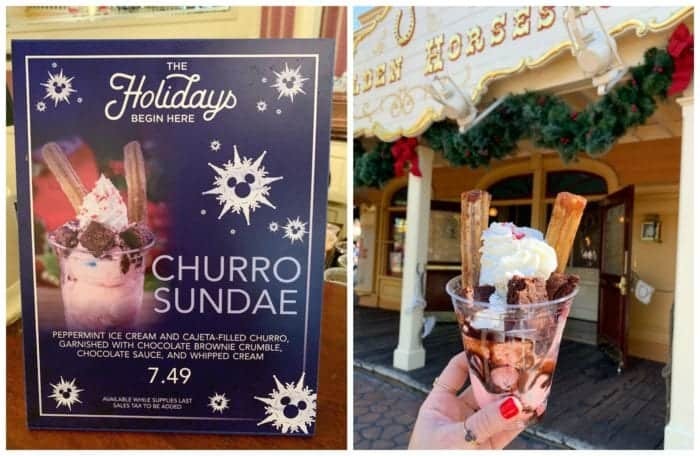 Frontierland’s Holiday Churro Sundae found at The Golden Horseshoe is festive and a must try this season. It comes with Cajeta filled (Mexican caramel sauce made from goat’s milk) churros on top with brownie cubes on top of peppermint ice cream. It’s large so share with 2-3 people depending on how hungry you are. This is definitely one you want to add to your list. 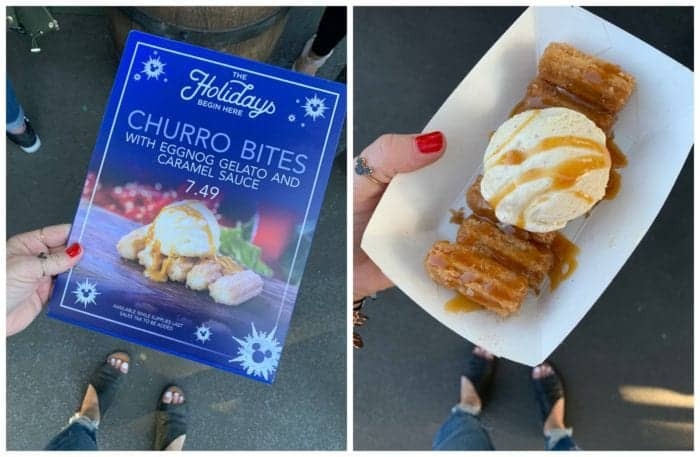 Critter Country’s Hungry Bear Restaurant has the Holiday Churro Bites Sundae with Eggnog Gelato and Caramel Sauce. Hands down one of my favorites of all of the Holiday food this season. The gelato was not too egg nog-y and the caramel….perfection. Loved it. I feel like the small churro bites are perfectly fried, crisp/soft in the center. Spot on. Don’t miss this sundae. 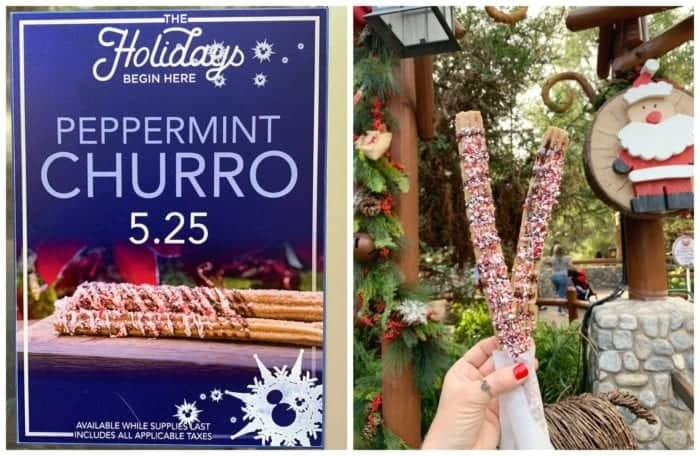 The Churro Cart over in Grizzly Peak, near Grizzly River Run offers the Peppermint Churro. This one is great. 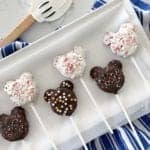 I did like the chocolate version with pretzels in Disneyland’s Frontierland better.